Shin guards first made an appearance in 1874 and were made from large cricket pads to protect the front of the leg. As the speed of the game increased these grew smaller and many players discarded them altogether. Tired players preferred to play out the later stages of the games with their socks rolled down. This prevented cramp and gave them extra freedom. However the rules of the game no longer allowed this. (Law No. 4- The Players Equipment Each player is required to wear a jersey or shirt, shorts, socks, shin guards and shoes. Socks must completely cover the shin guards. Goalkeepers must wear a color different from either team or any official. No player may wear any item that could cause danger, including any type of jewelry.) International Football Association Board (IFAB). 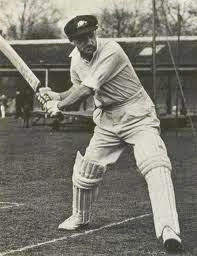 Cricket was the first sport to adopt the use of shin guards. 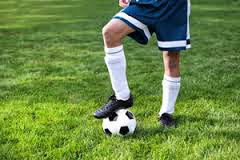 Shin guards are used to cover what ever part of your shin is most susceptible to pain. 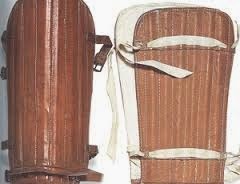 Shin guards were made of leather and aluminum covered in cloth for extra protection. Initally shin guards gave an unfair advantage to the batsman because his leg pads covered the stumps. In 1809 the leg before wicket rule was introduced and the umpire could deduce whether a ball would have hit the stumps if the batter was not hit first. 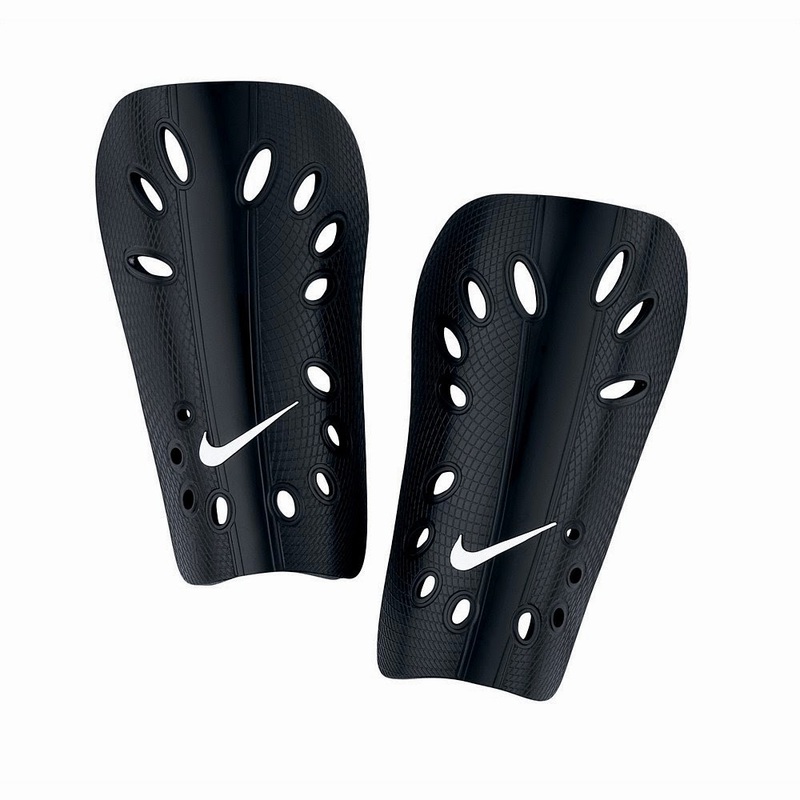 Leg pads became more popular as protective measures against the impact from the ball and are worn by the batsman, the wicket-keeper, and the fielders that are fielding in close to the batsman. Sam Weller Widdowson (1851 -1927) was a cricketer and footballer and cut down a pair of his cricket shin pads and strapped them to the outside of his stockings using straps of leather in 1874. 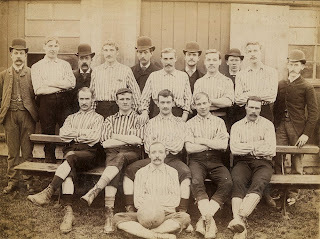 At first he met with derision from fellow players but shin guards eventually caught on as players saw the practical use of protecting their shins. 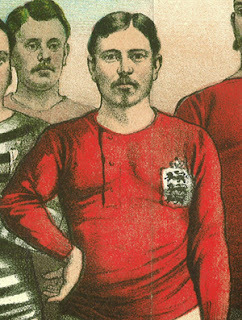 Nottingham forest was the first team to wear shin guards. These products are the only protective covering permitted for players in football soccer game. 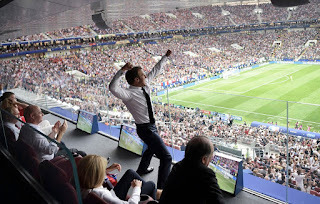 After the application of shin guards in association football, they quickly spread to other sports and are now considered necessary for most contact sports. There are a two basic types of shin guards used in soccer i.e. slip-in shin guards and ankle shin guards. Different player positions use shin guards to provide different types of protection and fit. Defenders need a heavier shin guard with extra ankle protection. Midfielders need protection, but also need to be able to move freely. 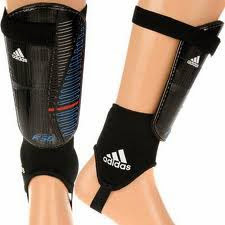 Forwards need a light shin guard with protection and ankle support. Goalkeepers can wear a light shin guard with minimal protection. 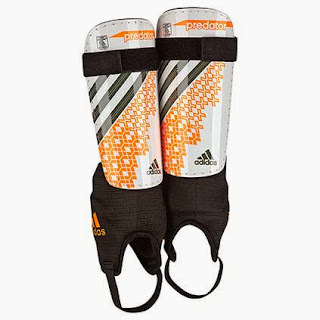 Modern day shin guards are made of many differing synthetic materials. The properties of individual materials and combinations give specific function such as weight, strength, comfort, durability and resistance to impact. Modern shin guards are made with a hard outside casing and a soft inner layer. Outer surface is crafted in thermoplastic materials with shock absorbing inner material made from Ethyl Vinyl Acetate (EVA) or other foam type material. Shin guards do not absorb large quantities of energy and so are unlikely to prevent bone fractures from high energy type trauma. Shin guards protect by spreading impact loads over wider areas of the skin. The force of the initial impact is reduced as peak pressure is dampened down. The properties of the materials display energy absorbing characteristics, which further protect the player's leg from injury. Adidas is known as a leader in design and protection, but other names, such as Umbro, are known for comfort, and many people like Estero. From novice to expert, shin guards are an important piece of safety soccer equipment.